Book your service online and receive a $10 discount. 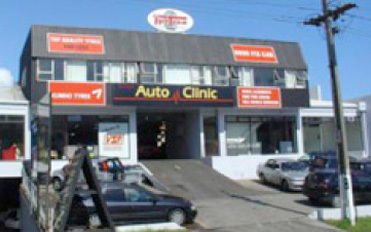 Congratulations, you’ve found the best automotive mechanical repair workshop in Auckland! Free wheel alignment when four tyres are purchased. This does not include any parts i.e. bushes or ball joints that my be required to be replaced to get a perfect result. For diagnostic, servicing and automotive repairs for all makes and models - European and Japanese, petrol and diesel. 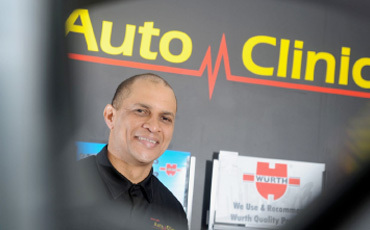 We’re efficient and we’re reliable – we’re Auckland Auto Clinic. We specialise in servicing and repairing Audi and BMW right through to Volvo and Volkswagon using genuine factory parts or aftermarket as required by our clients. We have over 10 complimentary loan cars and vans and can usually offer our clients a pick up and delivery service. 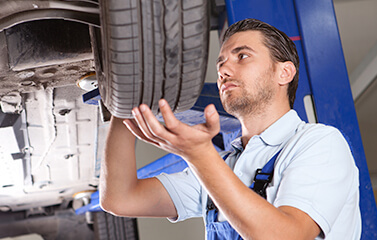 Our experienced team of mechanics can do it all – car and 4WD servicing and mechanical repairs, WOF, compliance repairs, tyres, wheel alignments, auto electrical repairs, cambelt - timing belt replacement, clutch replacement or repair, transmission flush, electronic diagnostics and fault finding. If you need a quote on any type of repair work, cambelt replacement, brake pads or even a full engine replacement give us a call on 09 622 1265 or email: service@autoclinic.co.nz for a very competitive quotation. Ellerslie, Greenlane, Hillsborough, Mangere Bridge, Mt Wellington, Newmarket, Onehunga, Penrose, Remuera, Royal Oak. Book your service by email and receive a $10 discount. First class service at a competitive price! Free pick and delivery by arrangement! Top up your tyre pressure. Avoid using your brakes too much. Don’t warm your engine, drive gently. Give your car an occasional blast.Honest! If your car is a year 2000 or newer it is now on the 1 year WOF inspection cycle however a lot of problems or damage can incur over a years time leading to an unsafe vehicle and higher maintenance costs.